So Your Self Published Book Is Out. What’s Next? Congratulations—you’re officially a published author! 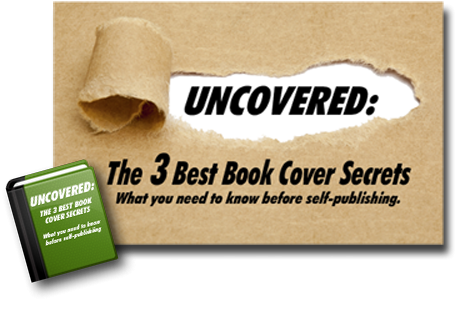 You’ve worked hard to self-publish a great book with a well-designed, professional-looking cover, proper formatting, and thoroughly proofread text. Ideally, you did some preliminary promotional work before your book was published so the launch energy could be big and focused. Your website is home base for all of your fan building, face-to-face networking, social marketing efforts, library and bookstore outreach, event planning, etc., so it’s important to establish this hub as soon as possible. Make sure your website is optimized to create and build a fan base. And don’t forget to update it with information about your new book—and where to buy it! The team at Web Design Relief specializes in well-designed websites that specifically suit the needs of authors, so if you don’t have time to design your site on your own, give us a call! And if you already have an author website, Web Design Relief can provide a free evaluation of your site to let you know what’s working—and what’s not. There’s no more efficient and exciting way to spread the word about your book than to ask others to do it for you—and social media sites excel at encouraging people to share news with friends! If you haven’t already done so, establish active profiles now on all or some of the following social networks: Facebook, Twitter, Google+, Pinterest, Goodreads, Tumblr, LinkedIn, and YouTube. Even if you’re not going to maintain a profile on a given social network right now, sign up anyway so that someone else doesn’t take your name. If you’re overwhelmed by the prospect of setting up and regularly updating all your social media accounts, our Virtual Assistant team can help you create and maintain your social network profiles at an affordable rate. Click here to learn more. Offer to do a book signing at a local bookstore (note that the store will take a percentage of your profits). Drop off your press materials and free review copies. If the owner agrees to a reading, invite guests to enter a raffle by leaving their business cards or contact info (and let them know you’ll add them to your email list). Visit libraries, schools, senior centers, and local educational centers with your information package and ask to speak with the person who books guest speakers. Even venues that aren’t normally considered literary havens often host speakers, so consider contacting places of worship, community groups, and online meet-ups. Writers are often interested in learning more about the craft and book marketing techniques, so contact writing groups and associations and offer to present your self-publishing story and expertise. Harness the word-of-mouth power of book bloggers and other online reviewers. If your book is reviewed by a book blogger who has a lot of fans on social media, your five-star review may go viral. There are companies that will arrange a blog tour for you—for a fee, of course. Or you can set up a tour by contacting bloggers on your own. When appropriate, you might offer to swap guest blog posts (host and be hosted by another blogger). Ask bloggers if they will help you celebrate the release of your new book by promoting a contest that will reward one of their readers with a free book. NOTE: Bloggers may ask for review copies prior to agreeing to host you on their blogs. If you’ve waited until your book is published to begin your marketing efforts, you do have some ground to make up. But you can do it! Following these four steps now will help you spread your net wide and catch some book sales. QUESTION: What other strategies are you using to promote your book?